For the last ten years the women’s 50 fly has progressively gotten quicker at the world championships, with 2013 being the fastest year with 25.24 winning the title when in 2005 the winning time was just 26.11. What was also interesting was how much faster 2013 was than just two years prior in 2011, as the bronze medal winning time from 2013 would have won gold by almost two tenths in 2011. This year we can expect to see the first ever 24 second 50 fly by a woman at the world championships, and with the quality of the field as a whole we should expect the fastest championships ever. There are a few races at these world championships where there is a clear favourite, where it would be a complete shock if this person didn’t win. For example everyone assumes Katie Ledecky will win the women’s distance freestyle events, and everyone also assumes Ryan Lochte will win the men’s 200 IM. Those are a given. But it is extremely rare for such an expectation to be held for a 50m event. Always so close, any one of the eight swimmers in the final has a realistic shot at maybe winning, or at least usually a medal. Oddly enough, this year the women’s 50 fly looks like its going to be one with a clear favourite that is head and shoulders ahead of the rest. Sarah Sjostrom of Sweden is the one who has established herself as the clear favourite in this event. 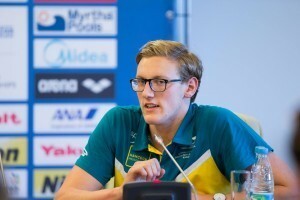 Sjostrom broke out at the 2009 world championships as a young 15 year old, winning the world title in the 100 fly and setting a new world record of 56.06. She also competed in the 50 fly, finishing 4th in a time of 25.66. In 2011 she just missed the medals in all three of her individual events, finishing 4th in the 200 freestyle along with the 50 and 100 fly. 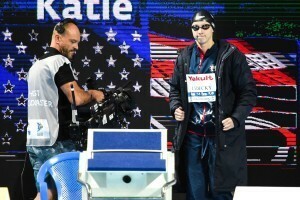 Sjostrom then had another 4th place finish in the 100 fly at the 2012 Olympics. In 2013 she won her first European title in the 50 fly at the short course championships, and followed up with a monstrous 2014 in the event. At the Swedish championships in July Sjostrom became the first woman ever under 25 seconds in the 50 fly, breaking countrywoman Therese Alshammar’s world record of 25.07 by over half a second going 24.43. A truly mind boggling performance, Sjostrom proved it was no fluke later in the summer swimming two more sub-25 second 50 fly’s and winning her first long course European title in the event. She closed off the year with the short course world title. Sjostrom has gone 24 again this year, swimming a 24.69 in April. She has held the top spot in the world rankings each of the last two years by wide margins and there’s no reason to believe she won’t blow away the field in Kazan with a world record performance. Jeanette Ottesen has been a mainstay on the Danish national team for over a decade. She has competed in three Olympic games dating back to 2004 and has won numerous international medals over her career. She has seen most of her success come at the European short course championships, where she has won a combined 22 medals over 5 different championships. Her career in the 50 butterfly has come a long way. Ottesen endured a string of near misses at the world championships before finally coming through in 2013. In 2005 she was 20th, and 2007, 2009 and 2011 she just missed the final finishing 11th, 9th and 13th respectively. She then broke through that barrier in 2013 making the final in the 50 fly for the first time in her career and made the most of it winning the title in a new personal best 25.24. Ottesen has been successful since Barcelona with silver medals in the event behind Sarah Sjostrom at both the 2014 European and short course world championships. Ottesen held the 3rd ranked time in the world last year and this year has moved up to 2nd putting her in the running this summer. She will look to defend her world title but it will be very difficult with Sarah Sjostorm looking unstoppable. Ottesen looks poised to win her second straight medal in the event. Francesca Halsall is most well known for her prominence in the sprint freestyle events, winning numerous international medals throughout her career. She has also seen success in the 50 fly, with some very impressive international performances. Halsall took home a surprise gold in the event at the 2010 Commonwealth games. We didn’t really see her back in the event until 2013, where she just missed a medal finishing 4th at the world championships. 2014 was arguably the best year of her career, as she won four medals at the Commonwealth games and five at the European championships. At the Euro’s she won bronze in the 50 fly and at the Commonwealth games she took the title home in a new personal best 25.20. That swim made her the 3rd fastest woman of all time and puts her in serious contention this summer. She was ranked 2nd in the world last year and is 9th this year. She’ll look to win her first world championship medal in this event later this week. Inge Dekker of the Netherlands has been competing internationally for over ten years. Like Ottesen, Dekker has competed at three Olympic games starting in 2004. She has also won a medal at each of those games in the 4×100 freestyle relay, including a gold in 2008. The 50 fly has been Dekker’s most successful individual event, winning world championship medals in the event in 2007 (bronze) and 2011 (gold). At the 2013 championships she finished 5th, and was 4th at the European championships last year. Dekker had a very successful FINA world cup at the end of 2014, finishing second overall in the women’s point race behind Katinka Hosszu and going undefeated in the 50 fly. Despite being one of the elder-stateswoman of the field, Dekker has shown no signs of slowing down. She posted the fastest time of her career last year of 25.55 ranking her 5th in the world and has been close to that this year already and is ranked 3rd. She’ll be in the hunt for her third world championship medal in the event. 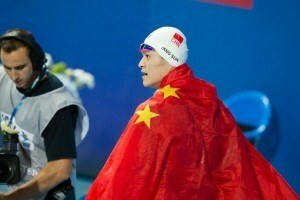 Lu Ying of China made a name for herself at her first world championships in 2011 finishing 4th in the 50 fly and winning bronze in the 100. She also took home a silver in the medley relay, making her first world championships a massive success. In 2012 she had a couple gold medal performances that really put her on the map. First, she won silver at her first Olympic games in the 100 fly, and then won gold in the 50 fly at the short course world championships. Lu continued her success in 2013, winning silver in the 50 fly, but had a disappointing performance in the 100 missing the final. She then won a trio of silvers in the 100 fly at the 2014 Pan Pacs, Asian games and short course world championships, and took home gold in the 50 fly at the Asian games. Lu has looked strong this year, holding the 4th fastest time in the world of 25.72. She is a definite medal threat. Like Francesca Halsall, Arianna Vanderpool-Wallace of the Bahamas has seen the majority of her success come in sprint freestyle. However, she has recently started swimming the 50 fly and has already seen some terrific results. Vanderpool-Wallace surprised many when she won silver in the event behind Halsall at the 2014 Commonwealth games, swimming a personal best and new national record of 25.53. That time had her ranked 4th in the world, and this year she swam 25.93 at the Arena Pro Swim at Charlotte placing her 7th in the world for the year. Vanderpool-Wallace clearly has speed to burn and will be a major factor in the 50 fly to go along with the 50 and 100 freestyle. 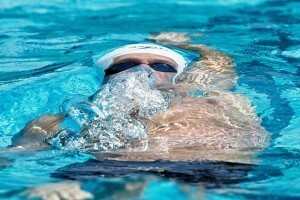 Freestyle and butterfly are the two strokes that seem to be the most similar, as anyone who can swim one well can most likely do the other well too. Both strokes are largely power based, which is a big reason for this. This is why freestyle sprinters such as Francesca Halsall, Arianna Vanderpool-Wallace and Emma McKeon have discovered their butterfly ability. Even those who originally specialized in butterfly like Sarah Sjostrom, Jeanette Ottesen and Inge Dekker are all world renowned sprint freestylers. The same is true on the men’s side (see: Florent Manaudou, Cesar Cielo). 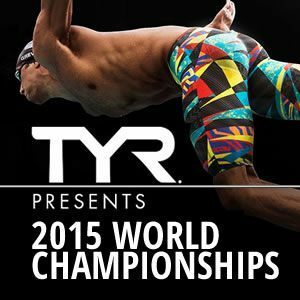 Due to this it shouldn’t be a surprise that swimmers we know more as freestylers show up in butterfly events. Emma McKeon swimming the 50 fly at worlds struck me as a little bit odd, as she is known for her ability in the 100 & 200 freestyles. She won three world championship silver medals in 2013 apart of the Australian relays and even won gold at the Commonwealth games last year in the 200 freestyle. This year she has found she has a strength in the 50 fly as well, swimming a pair of 25.99’s to rank her 8th in the world. Despite her lack of experience in the event I think we’ll see McKeon get to the final in this event in Kazan. Beryl Gastaldello of France has recently established herself as a top threat in the 50 fly. Anyone who can swim under 26 seconds has to be considered a threat, and Gastaldello did just that this year. At the French championships in April she swam a 25.92 putting her 6th in the world this year. Gastaldello is coming off her freshman year at Texas A&M where she had a very successful season. At the 2015 SEC championships, Galstaldello posted the fastest 50 yard fly split in history (at the time) of 22.46. That time has since been taken down multiple times by Kelsi Worell, but it shows Gastaldello has some big time speed. 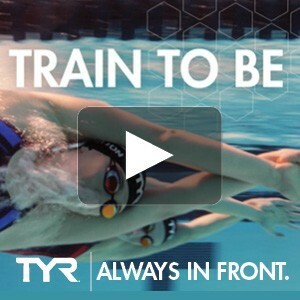 She will look to use that to her advantage in Kazan at her first world championships. Kendyl Stewart of the United States is my darkhorse pick. In her first international competition Stewart won a silver medal at the world junior championships in 2011 in the 50 fly. 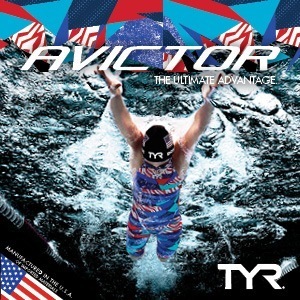 At the 2013 USA nationals she won silver in the 50 fly, and followed up in 2014 with a pair of national titles in the 50 and 100. 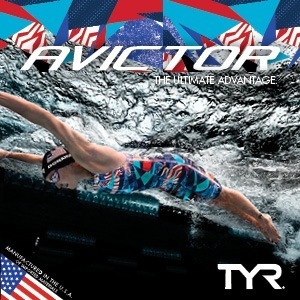 At nationals she swam a personal best of 25.99 that ranked her 10th in the world for the year. She also won a silver and a bronze medal at the 2014 Pan Pacs in the medley relay and the 100 fly. Stewart, swimming for Southern Cal, had a successful NCAA championships this year that included a bronze in the 100 fly. Stewart will look to make some noise in her first world championships. Stewart has yet to post a time this year which makes her darkhorse status all the more intriguing. Others to watch for in this event include Canadians Noemie Thomas and Katerine Savard, Italians Silvia Di Pietro and Elena Gemo, Natalia Lovtcova of Russia, Melanie Henique of France and Claire Donahue of the United States. This is one of the “sure bets”…….unless…….. The race will be for silver. Pretty rare for someone to be so dominate over 50 metres like Sjostrom is. So excited for this meet to start. Best time of year for a swim nerd!